Zach Kinne moved up to PA No. 2 all-time in the 5,000 meters on the track, with a strong performance down in Texas. 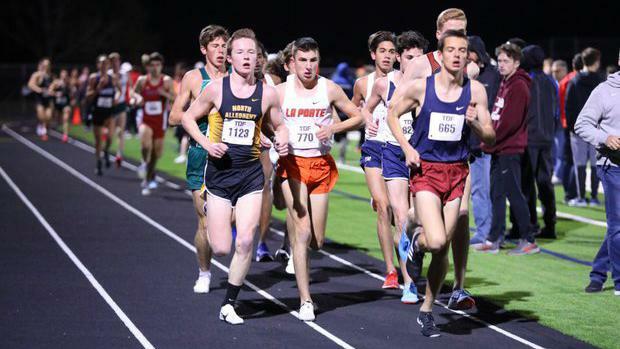 At the Texas Distance Festival, the North Allegheny senior placed sixth in the elite boys' field, clocking a 14:38.43. For the second straight year, Kinne journeyed to the annual meet to compete with some of the best distance runners in the country. He went 14:47.01 for eighth, so he lopped off about 9 seconds off that previous best. Alex Maier of Flower Mound (TX) won in 14:26.95. Saturday's performance places Kinne behind only Carlisle's Noah Affolder on the all-time PA list for the track 5K. Affolder ran 14:18.26 at the Texas Distance Festival two years ago in 2017, where he placed third. His outdoor debut race down south comes on the heels of a strong end to Kinne's indoor season that saw him win the 3,000 meters (8:33.83) at the PTFCA Indoor State Championships and then placed 16th at New Balance Nationals Indoor (9:11.49), both PRs.